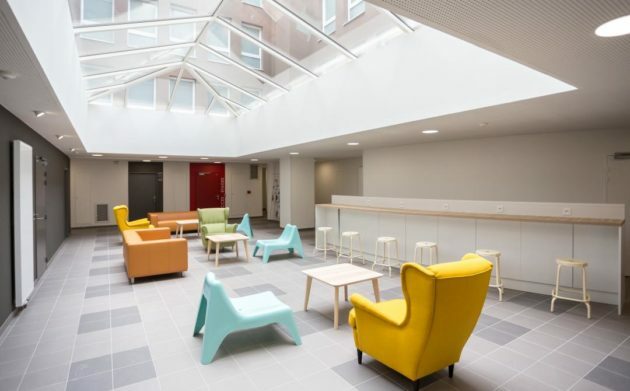 Sequabat has built a hall of residence for students with 160 rooms for sandwich course students in Nogent sur Marne. This programme was built on an existing campus dedicated to training apprentices and sandwich course students. This project was built in the heart of a campus occupied by students.